Parents who are expecting a child are planning all sorts of ways to make the home more conducive to children. They begin by designing a nursery and filling it with things that they think the kid will need while growing. There is a crib, a swing or rocker, toys, and plenty of clothes and diapers for changing. As the child grows and begins to walk, the house is baby-proofed to prevent accidents or mishaps from happening. Electric outlets are covered with socket guards, sharp corners are covered with foam, and entrances are secured with a small door so the baby doesn’t leave the room or walk down the stairs unsupervised. There’s also the matter of making sure everything is sterilized and clean for the baby’s protection. However, there’s one more thing that’s needed to make raising this child as hassle-free as possible – a dog. Yes, you’ve read that right, a dog. Man’s best friend is also the best baby sitter and nanny you can ever find. He is not only loyal and affectionate, but he will treat this kid like a master as well his own responsibility to guard and protect. 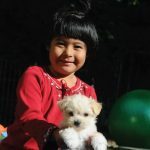 Dogs make great companions for kids because they can play together and remain active all the tme. You won’t have to worry about your kid being alone or being left out when there’s no one around to play with him. With his dog around, he will never feel lonely or sad. 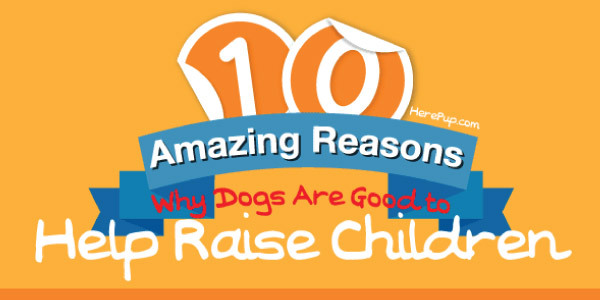 We’ve created an infographic to show you 12 compelling arguments as to why dogs are good companions for raising children. 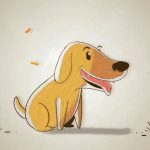 We’re sure that you’ll be convinced about letting these four-legged creatures into your home and families after reading.